Our land base where our cattle graze is USDA Certified Organic (since 2007). The cattle are rotationally grazed in order to care for the soils, provide optimal cattle nutrition and provide proper resting of the land. 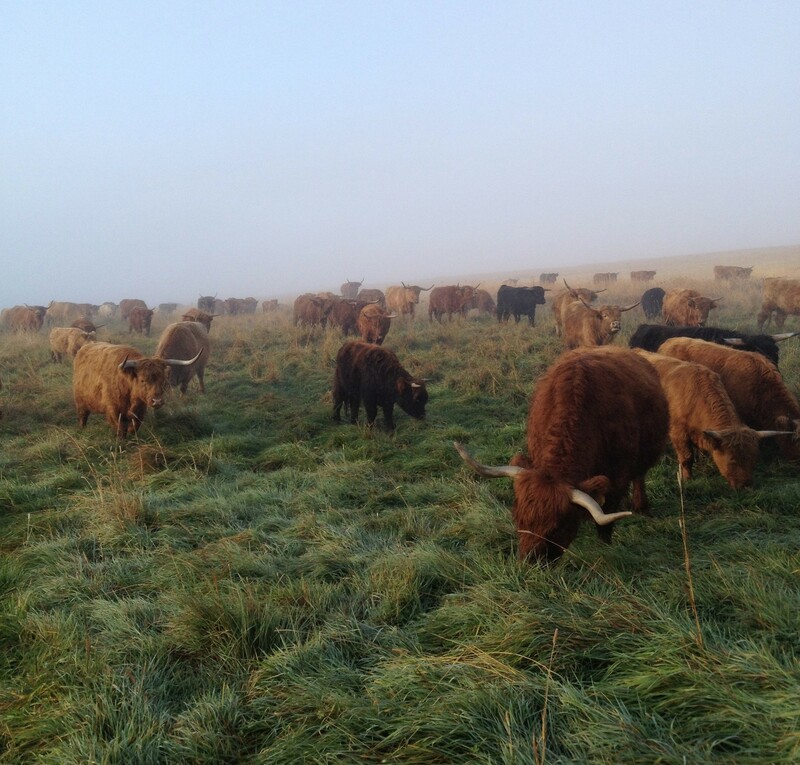 Scottish Highland is a heritage breed that has proven to be hardy and compatible with our land and wildlife. Because they roam and graze on nutrient rich grasses, their meat is lean, tender, healthy and of the highest flavor. In addition to USDA Certified Organic grasses and pasture, we provide our cattle with USDA Organic Certified salt and trace minerals. You don’t have to sacrifice your love of beef in order to be healthy and environmentally conscious. You can enjoy Hardgrass Beef, knowing you are both. Our cattle and all other animals on our ranch are always treated with respect and care from the minute they are born. Our cattle respond to our voice and tones when moving them from pasture to pasture and it always amazes me how sensitive and intelligent they truly are. I feel a sense of pride knowing that I have raised an animal for our benefit and nutrition in a way that maximized the quality of their life and the environment around them. This is very important to me and derives from a deep appreciation for the natural world that I have had since I was a child. We believe caring for the cattle and land and conserving our limited resources we are producing meat that is good for our health, environment and sets an example for the next generation.